Two more arrests have been made as police continue to tackle vehicle crime across the district. 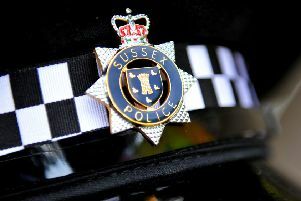 Police said a member of the public reported seeing men acting suspiciously around a car in Beech Road, Horsham, in the early hours of Monday morning (November 13). Officers attended just after 1.20am and two men were arrested. Police said a 53-year-old man and a 51-year-old man, both from Horsham, were arrested on suspicion of vehicle interference, going equipped for theft and possession of a controlled drug of Class A. The 51-year-old was additionally arrested on suspicion of going equipped for theft - not motor vehicle.